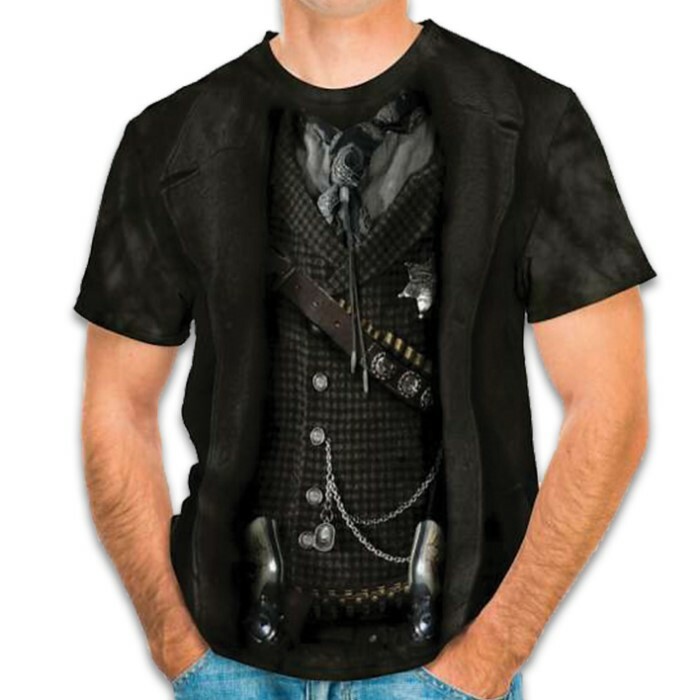 The Sheriff Black T-Shirt - Pre-Shrunk 100 Percent Cotton, Soft Feel, Classic Fit, Hand-Dyed, Reinforced Stitching | BUDK.com - Knives & Swords At The Lowest Prices! We may be past the days of the Wild West but that doesn’t mean that style has to eat the dust. 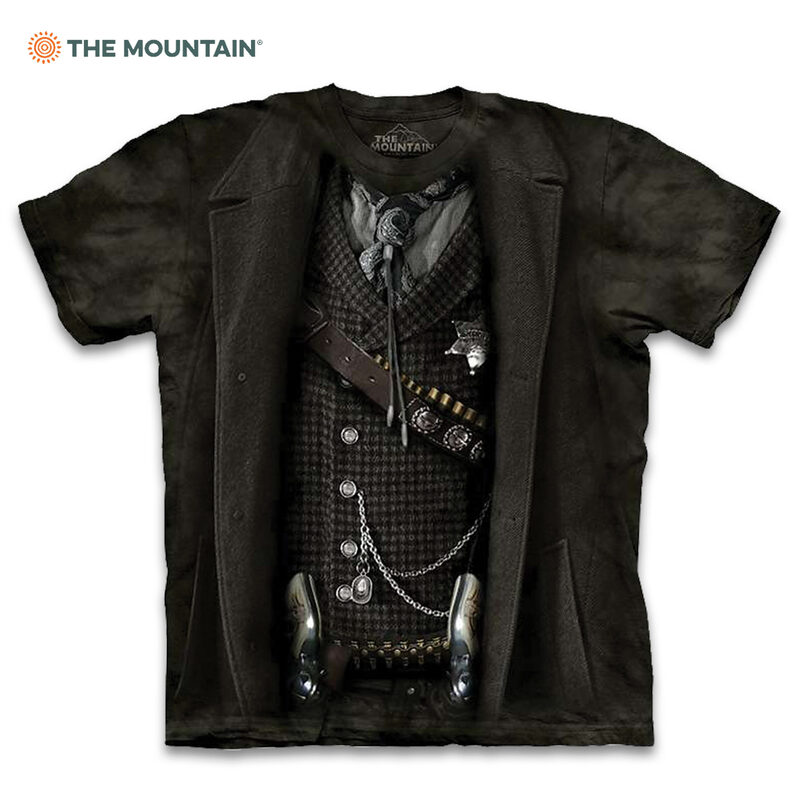 From the timeless sheriff’s badge to the dual pistols and ammo casings, no one will mess you with once you’ve saddled up in this outfit. The preshrunk, 100 percent cotton t-shirt is hand-dyed and printed using a modified process that dyes the actual fibers of the t-shirt, giving it the softest feel with the best possible artwork. If you think you’re bold enough to step into the sheriff’s boots, then belly right up!